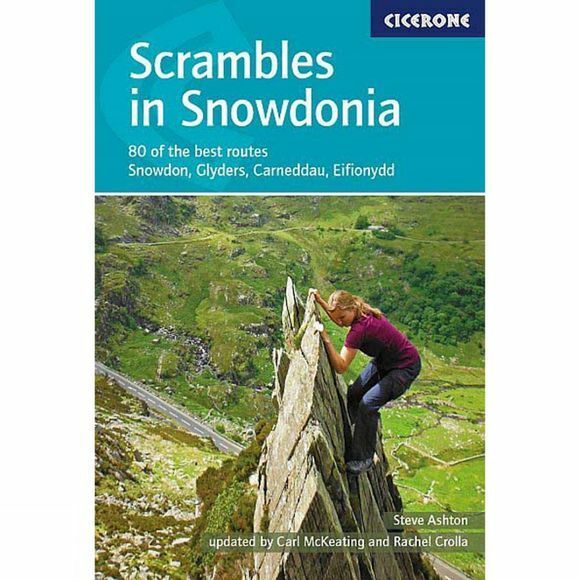 This revised edition of Steve Ashton's classic guide presents 80 scrambles in the stunning Snowdonia National Park, offering challenge, adventure and exhilaration, but also breathtaking scenery and an unparalleled opportunity to connect with the mountains of North Wales. The graded routes range from introductory traverses to demanding climbs involving technicality and exposure, recommended only for those with considerable experience, a strong head for heights and solid grounding in basic rope technique. It is now easier than ever to explore the Carneddau, Glyders and Snowdon Group, plus the finest scrambling in Eifionydd, the Moelwyns, Rhinogs and Cadair Idris. The favourites are all here–the Snowdon Horseshoe, North Ridge of Tryfan, Bristly Ridge and Cneifion and Cyfrwy Aretes–as well as a number of lesser-known routes, including 16 not included in the previous guide. Photo topos illustrate the ascent routes, alongside comprehensive route description detailing the preferred line of ascent and descent options. Many routes also include ideas as to how scrambles might be combined to create longer outings, and summary information and overview statistics are provided to aid route selection. Dramatic colour photography completes the package. With advice on how to progress and stay safe, Scrambles in Snowdonia is an indispensable and comprehensive guide to enjoying the freedom and excitement of scrambling in the rugged Welsh mountains.